Medium-bodied with tropical flavors that linger with magnificient grape aroma. 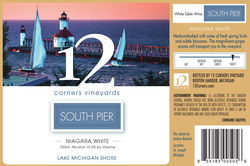 Medium-bodied with notes of fresh spring fruits with subtle blossoms. The magnificent grape aroma will transport you to the vineyard.